It's 1789. Henrietta Lightfoot, a young Englishwoman, trips on her silk gown as she runs for her life along the bloodstained streets of revolutionary Paris. She finds refuge in the opulent home of Grace Dalyrmple Elliott, the city's most celebrated courtesan. But heads are rolling, neighbours fear neighbours and masters whisper before servants. As the sound of the guillotine echoes outside, within the gilded salons of high society Henrietta becomes a pawn in a vicious game of female power. How will she survive in a world where no one can be trusted? I had no idea of the time period until quite well in. If we think being a mistress is a modern idea take a read. 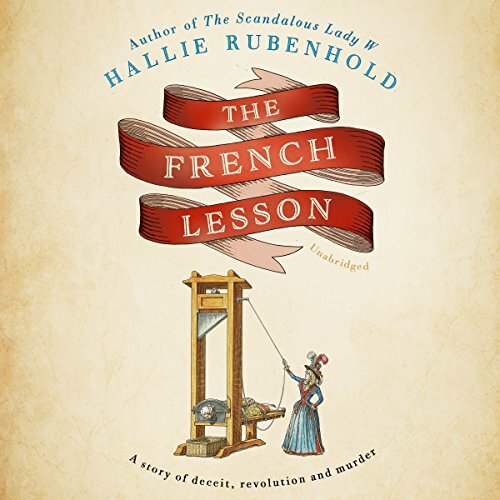 This story is about trust, deceit, wealth, lovers and the French Revolution. The babarrack times and atrocities are a backdrop to this historic and ficticious story. Narrator Julie Teal did a wonderful job yet again and is a pleasure to listen to.